One of the greatest means of healing today is simply by means of REST. You heard right: rest! Notice, when you “ride on the heights of the earth” you have dominion … you have perspective and are ABOVE the things of the earth. You are in a position of blessing by God. You are blessed. Also, when you “feast on the inhertitance of you ancestor Jacob” you are partaking spiritually―plus physically and materially―of the health and wealth of the father of the 12 tribes of Israel. The nurse came back in a vew minutes and said, “Where were you? The doctor came in to see you in your room and you were NOT there.” I said, “I have NOT left.” Then I realized that I was on the other side of my bed on the ground praying and the doctor could not see me from where he stood at the door. I then realized I had been busy doing God's work holding tent and evangelistic meetings, working to support the ministry, and travelling … but NOT taking my Day of Rest. When I realized this, I repented before the LORD and asked for His forgiveness. Instantly, I could tell that I had been healed. My friend, truly God has given YOU a practical and effective―cost effective―means of healing: REST. "Messiah Jesus, I know that you are The Great Physician.You loved me enough to shed your sinless blood and die for me on the cross stake that I might be healed. I know you are alive. Please forgive my sins, come into my life, and be my Master. Help me to live for you, and take me to Heaven when I die." 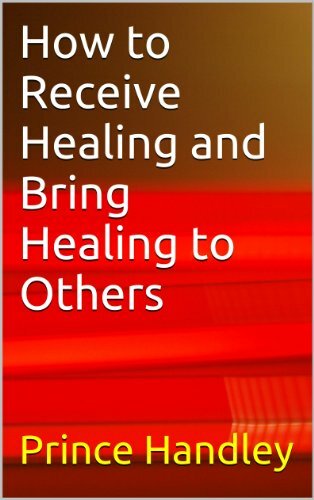 I have selected two (2) books which will help you to know how to deal with pain, and any type of pain – so you can live PAIN FREE and serve God – and enjoy life the way God wants you to. Here they are … just click on the image. I have seen many people healed by the LORD of pain and paralysis. I have witnessed many people walking out of their wheel chairs. I was holding a three day seminar and I had asked the people present to join me in prayer and fasting for the last day as I was going to teach on healing. A man was present who had been in a wheel chair for nine years due to two conditions: 1. A large 18 wheel semi-tractor truck had run into his automobile and he had five breaks in his spine; 2. He had muscular dystrophy. During Holy Communion he walked out of his wheel chair and never went back! Two years later, he gave his testimony in a large denominational church and hundreds of people fell out of their seats under the Power of the Holy Spirit. NEVER GIVE UP! Never disregard professional medical advice or delay seeking medical treatment because of something you have read in or accessed in this or referred sources.